Think solid carbide drills are the only game in town for high production holemaking? Think again. 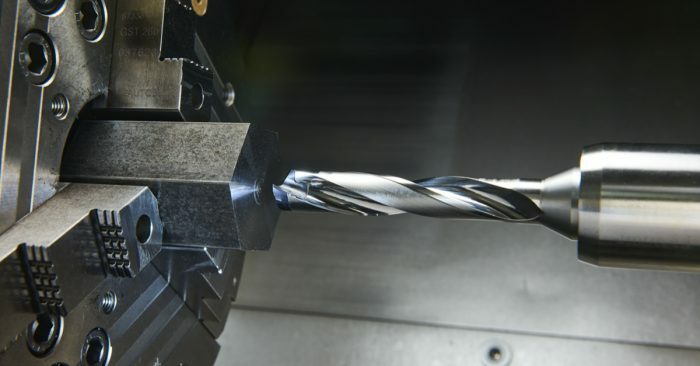 Kennametal, the leading expert in holemaking, worked with one of their customers to analyze the pros and cons of solid carbide drills and identify a way to make an application less costly and more efficient at the same time. Solid carbide drills are extremely rigid, produce better hole quality than most drilling solutions, and offer aggressive cutting geometries that work well in a broad range of materials. 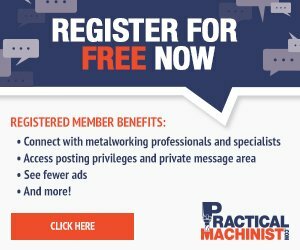 However, they’re among the most expensive of all cutting tools and are not terribly forgiving when setup conditions are less than ideal—too much runout here, an intersecting hole there, and your oftentimes several-hundred-dollar solid carbide drill is lying in pieces in the chip pan, with the workpiece similarly destroyed. So, here’s the million dollar question: is there an alternative to solid carbide drills that can increase tool life and save money at the same time? That’s a question that many tool manufacturers’ clients tend to ask, hoping to get a positive answer. Kennametal was invited by one of its customers to see what could be done to decrease tool costs when drilling a series of 10.5 mm (0.413 in.) holes just 5 mm (0.196 in.) deep in GG25, a type of gray cast iron. Not a big challenge, except the parts were being machined on a 30-taper, 3.7 kW (5.5 hp) drill/tap center, not exactly the most powerful or rigid machine around. If solid carbide drills produced more parts at the end of the day, they would be worth the additional expense, but in this instance and many others, modular drilling tools, such as KenTIP FS, drill more holes while cutting cost. From 5,000 to 9,100 holes per cutting edge: Modular drill KenTIP FS.